LSNF volunteer lawyers generously donate their time by providing direct representation to eligible clients. LSNF refers eligible clients to attorneys with expertise in, experience with, or special interest in the particular client’s type of legal problem. Participating attorneys specify the legal areas in which they will accept referrals and this information is used when linking an applicant with an attorney. Lawyers participating in any of the legal clinic or alternative volunteer programs may also agree to accept any advice, brief service case or ongoing LSNF staff attorney case for extended representation. Lawyers may also make client referrals to LSNF and request the eligible cases be assigned to them for full representation. Lawyers within LSNF’s service area may receive case referral requests by email from time to time asking for help on cases for which LSNF either lacks the resources or expertise to handle. 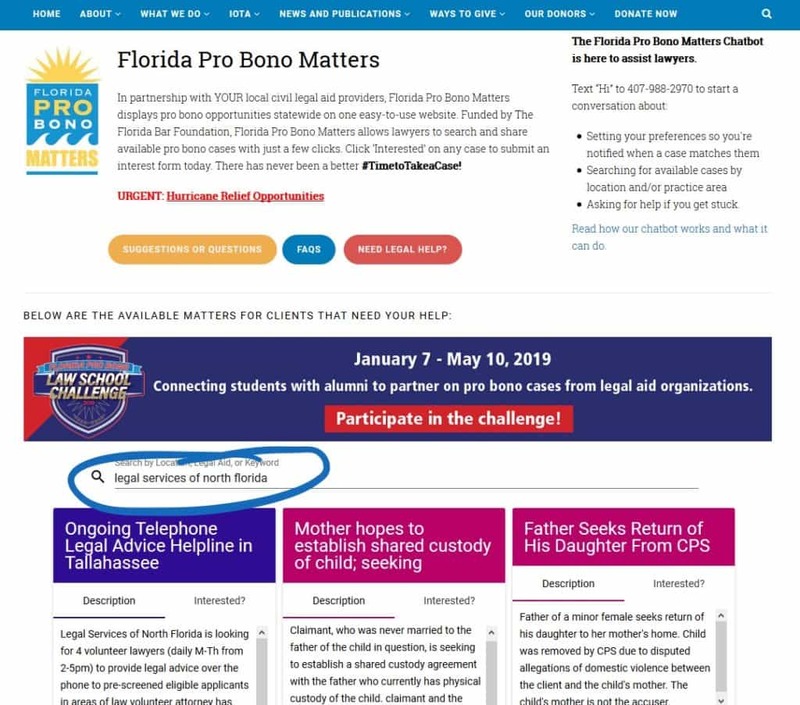 To review LSNF cases, simply search “Legal Services of North Florida” to see open cases.